How can I find out more about my health care options? Call or visit Washoe County Senior Services at 1155 E. Ninth Street in Reno, 775-328-2575, and request Information & Referral. Information & Referral is available in English and Spanish. Can I get health insurance after I retire? If you retire before age 65, you should investigate any insurance options available to you through your employer for retirement. Qualifying for private insurance may be difficult and it will be costly. At age 65 or over, you can get Medicare insurance. If you have not paid into the Medicare system during your working years, Medicare will be costly, but less expensive than private insurance. Some people with disabilities can get Medicare prior to age 65. Medicare is the federally-funded medical insurance plan for Americans age 65 and over and for some people with disabilities under age 65. Medicare Part A covers hospitalization. Medicare part B covers doctor visits and other routine medical care. Medicare part D covers prescription medication. For Medicare information and counseling, please call or visit Washoe County Senior Services at 1155 E. Ninth Street in Reno, 775-328-2575, and request to speak with a State Health Insurance Assistance program (SHIP) counselor. SHIP counselors are also available through a Statewide Call Center at 1-800-307-4444 or 1-800-MEDICARE. Medigap is a private insurance that covers the gaps left by Medicare. State and federal regulation of Medigap insurance seeks to make it affordable to many seniors. For Medicare information and counseling, including some Medigap questions, please call or visit Washoe County Senior Services at 1155 E. Ninth Street in Reno, 775-328-2575, and request to speak with a State Health Insurance Assistance program (SHIP) counselor. SHIP counselors are also available through a Statewide Call Center at 1-800-307-4444 or 1-800-MEDICARE. A Medicare Supplemental Insurance Premium Comparison Guide is available by contacting the Nevada Division of Insurance at 775-687-4270. Medicare generally does not pay for long term care in or out of a care facility. Medicaid will generally cover long term care if you meet low income and asset requirements. Not all long term care providers accept Medicaid. You may benefit from long-term care insurance if you want to protect your income and assets or if you want to choose a non-Medicaid provider or facility. As a veteran, can I get additional health benefits? Maybe. Contact the Department of Veterans Affairs at 800-827-1000 or one of the assistance organizations listed on page 15. Nursing home care now costs about $6,000 per month. Medicare may pay for skilled care for a period of 20 to 100 days. Skilled care is when a person needs physical or occupational therapy or has an invasive medical procedure. Custodial care, which is all many people may need, is not covered by Medicare. The sources of payment for custodial (basic) care are long-term care insurance, private funds or Medicaid. Medicaid is a joint federal-state program. If you need Medicaid to pay for a nursing home, certain assets are exempt, meaning you get to keep those assets. Exempt assets are the family home with an unlimited value if you are married (value limit is $500,000 for a single person); household goods; a vehicle; certain burial arrangements; real estate up for sale; a family business; and up to $2,000 of other assets in the name of the person in the nursing home. Spouses of nursing home residents also have additional rights to help them stay out of poverty. A nursing home spouse can keep up to $104,400 of savings plus all of his or her income and if this amount is less than $2,610 per month, the at-home spouse can keep part or all of the nursing home spouse’s income to provide $2,610 per month for the at-home spouse. If a person applying for Medicaid or his or her spouse has made any gifts during the 60 months prior to applying for Medicaid, a period of ineligibility will result. The person needing Medicaid will be denied benefits for one month for each $5,714 that is gifted. The penalty starts from the date Medicaid is sought. Medicaid has the right to get paid back from the Medicaid recipient’s estate upon that person’s death. However, Medicaid cannot seek recovery of the cost of care so long as the widow or widower is alive. What are my rights associated with nursing homes? How can I help ensure that my affairs will be handled my way if I become unable to make my own decisions? for you. Or, you might choose to set up a springing power, which would only become effective at a specified future date or event (such as if you were to become incompetent). unscrupulous agents – even to agents who are family members. You can also prepare written, legal documents to take care of decisions regarding your health care. They are called “advanced directives.” Advance directives allow you to state your choices for health care or to name someone to make those choices for you if you become unable to make decisions about your medical treatment. In short, an advance directive lets you make decisions about your future medical treatment. You can say “yes” to treatment you want, or say “no” to treatment you do not want. The two most common forms of advance directives are “Living Wills” and “Durable Powers of Attorney for Health Care Decisions.” In Nevada, a living will is a declaration directing a physician to withhold or withdraw life-sustaining treatment such as respirators and kidney dialysis that will only delay your death. It will go into effect if you have an incurable, irreversible condition and you are not able to communicate your desires. A “living will” should not be confused with a will or a living trust, which serve different purposes. Many people are concerned that if they execute a Living Will they will not receive pain medication or food and water. Nevada law specifically provides that the execution of a Living Will does not affect the responsibility of your doctor to provide treatment for your comfort or the alleviation of pain. With respect to food and water, you may state in your Living Will that you do not want food and water withheld or withdrawn. In Nevada, a “Durable Power of Attorney for Health Care Decisions” is a signed, dated and witnessed paper naming another person, such as a husband, wife, daughter, son or close friend as your “agent” or “proxy” to make medical decisions for you should you become unable to make them yourself. You can include instructions about treatment you want to avoid, such as surgery or artificial feeding. 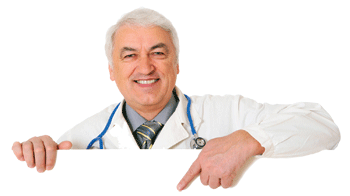 ask your physician to make your advance directive part of your permanent medical record. If you are over the age of 60 and a Washoe County resident, you may also obtain assistance from the Senior Law Project by calling (775) 328-2592 or go to www.NevadaDirectives.org and download the forms. You may also fill out the form at www.NVLivingWill.com. You may have your advanced directives securely filed electronically so that your health care provider can read it at LivingWillLockBox.com. Hospice care is a program – usually a mix of physical, emotional, spiritual and practical care – for the terminally ill. It may take place in a patient’s home or in a specially designed facility. A doctor’s prescription is required for participation. Payment is often on a sliding scale based on income. Medicare covers hospice care as do other insurance programs.